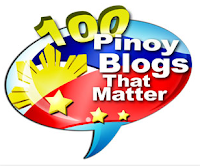 Notorious robbery group "Martilyo Gang" allegedly struck anew, robbed a store at SM North EDSA Sunday, December 15, 2013. It was a busy "payday" Sunday evening and SM Malls have started their pre-holiday sale, so expect the mall to be really crowded. The management of SM City North EDSA has confirmed the robbery incident via Facebook, assuring the public that no one was hurt, and the mall has remained open after the incident: "There was a Martilyo gang robbery incident in a store in SM City North EDSA. The Police is on top of the situation and handling the matter. No one was hurt. The mall remains open." Same statement was released by SM Supermalls on Twitter: "An incident involving martilyo gang occurred in a store in @SMNorthEdsa. The police is on top of the situation & handling the matter. No one was hurt & the mall remains open. @abscbnnews @rappler @ancalerts"
They did not particularly reveal the store that was robbed, but according to witnesses, a jewelry store inside SM Department was the one got robbed. I saw a raw video of that incident at the mall, where holiday shoppers were shown in panic, rushing to go out of the mall. But this news however has become more of a political issue when President Noynoy Aquino and DILG Secretary Mar Roxas were seen checking the crime scene after the incident. PNoy and Sec. 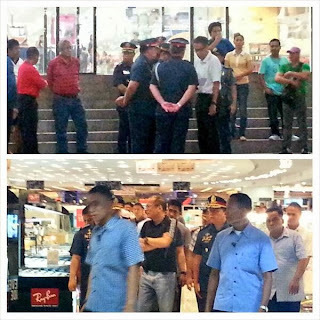 Mar were so quick to check on what happened at the mall, but they weren't as quick showing their presence as when there's a natural calamity, or even in the Manila hostage crisis 3 years ago. Or maybe, it so happened that the two were just so near the area, so they immediately dropped there. But still, does a minor robbery incident like this really need the President's presence?